I do not like macaroni and cheese; in fact I'd have to be starving to be forced to eat it. However, my family loves it. So for the sake of their happiness I have experimented with different versions of homemade macaroni and cheese. This recipe is hands down their favorite. The best part for me is that this recipe is quick. I can put it together and toss it in the crock pot (even late in the day because the cook time is quick). I've also just put it in the oven at 350F for about 30 minutes or so and that has worked well too. Boil macaroni until al dente. 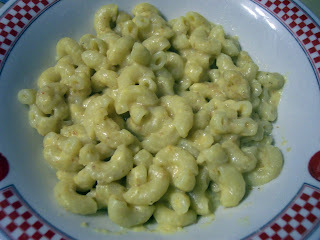 While macaroni is boiling spray crockpot with non-stick spray for easy cleaning. In a saucepan, combine first 5 ingredients. Pour in milk and stir with a whisk until no lumps remain. Heat and continue stirring until mixture boils and is thickened. Add cheese and then macaroni. Stir until well mixed. Pour into slow cooker. Cover and cook on low for 2-2 1/2 hours or on high for 1 hour.